As you may already know, last summer we took the kids on an epic road trip. We drove halfway across Canada, to the beautiful east coast. When you go on a road trip with kids, you need a lot of games and things to entertain the kids…right? One of our go-to road trip activities was playing would you rather. 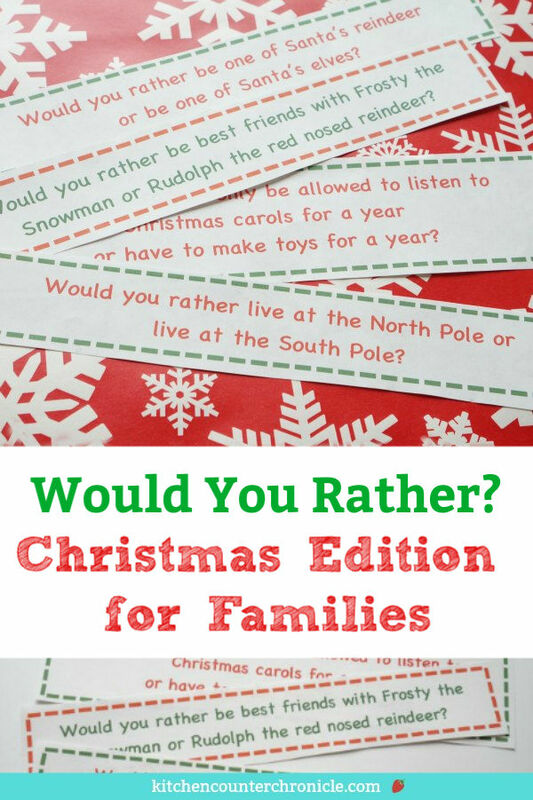 Before we left home, I printed off a whole bunch of our would you rather games for our family. 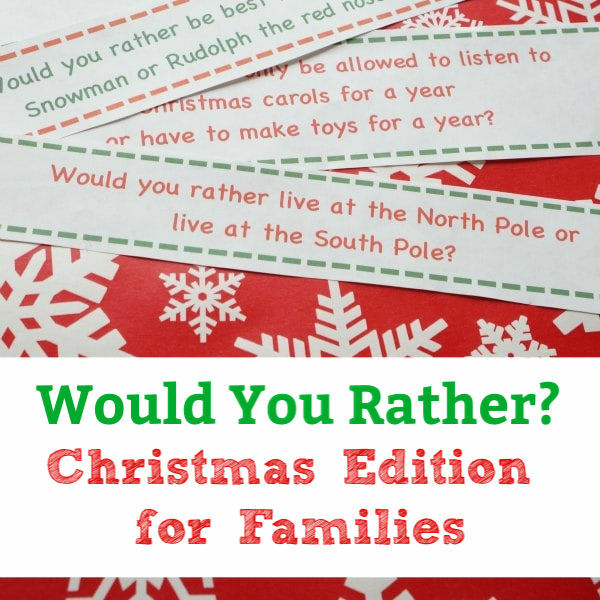 So, when I was thinking about the coming winter holidays I thought it would be fun to create a new would you rather Christmas edition. If you aren’t familiar with the game “Would You Rather?” it is a series of questions that simply ask…would you rather? For example, would you rather have duck feet or an elephant trunk? Would you rather travel to the moon or travel to the centre of the Earth? Kids love this game. The questions open up all sorts of funny discussions. Imagine defending why you would rather have an elephant trunk…fun, right? 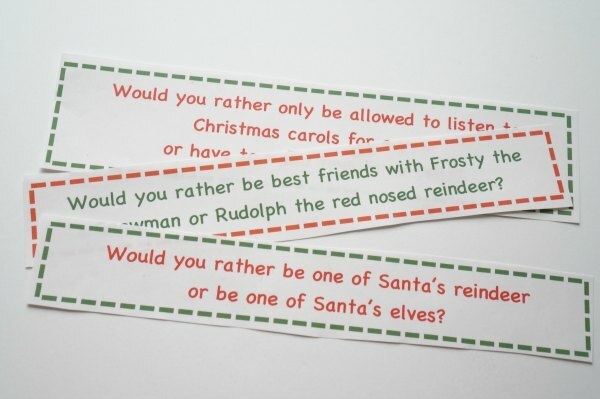 For the Christmas edition I turned up the Christmas carols on the radio and put on my Santa hat to create 30 different festive would you rather questions for kids. It was so much fun. Would you rather eat Christmas cookies for 6 months or candy canes for 6 months? Would you rather be Mrs. Claus or the head elf in Santa’s workshop? Would you rather live at the North Pole or the South Pole? Tough Christmas questions for kids to answer. 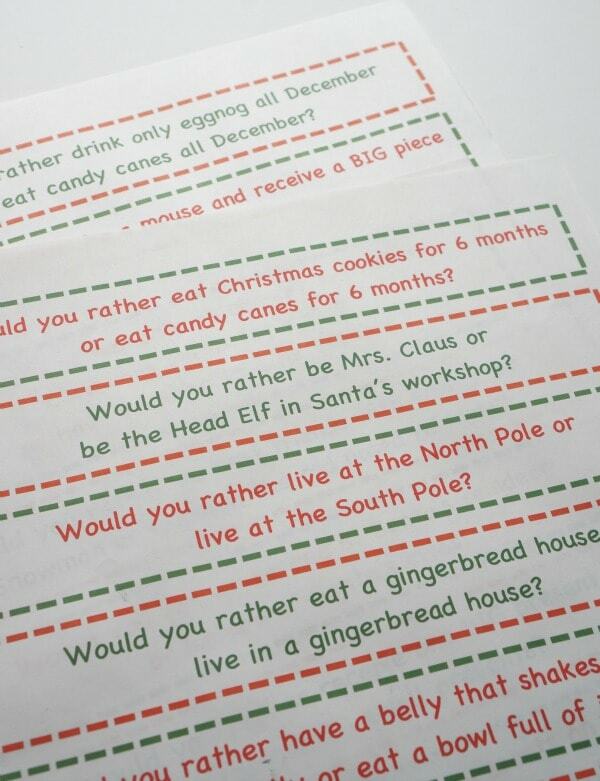 Simply print off the would you rather Christmas edition for kids and cut out the individual strips. I’ll be cutting out the would you rather questions and adding them to my daughters’ lunch boxes all December long. I am also planning on keeping some in the car, for our long holiday road trips. I’ll be printing off an additional copy and sharing these with my 10 year old nephew – I think he’ll enjoy them too. If you’re a teacher – a would you rather game is perfect for the classroom. These questions are sure to spark some interesting debates. A simple way to bring a little holiday spirit into the class. 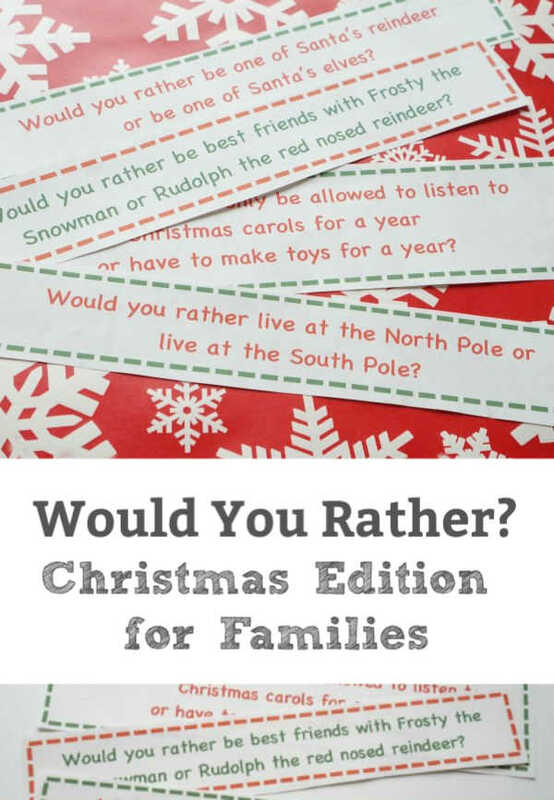 To play along simply click this link to print off your own copy of would you rather Christmas edition for kids. Then cut out the strips and share. How will you use the game? They would be great to bring along to a Santa Claus parade, or for the kids to do as they sit patiently at a holiday concert. Would you rather play this fun game or listen to your child complain about being bored? If your kids have fun playing, be sure to check out our other Would You Rather games. We have a Harry Potter edition, a Halloween Edition, an Easter Edition and a springtime edition. 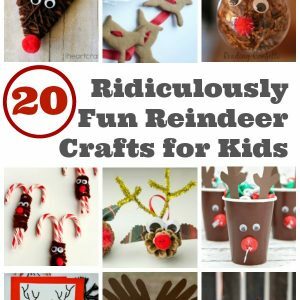 They make a great, family friendly activity for anytime of the year. 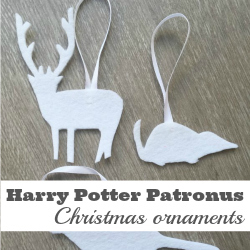 Have fun discovering and making a Harry Potter patronus Christmas ornament. Perfect for all the Harry Potter fans in your house. 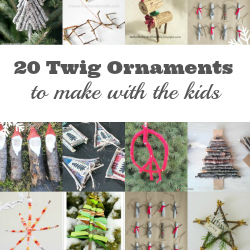 Use twigs to make 20+ Christmas ornaments. Find your craft supplies on your next walk through the park. These are so cute! Thanks for providing these 🙂 Printing it out for Xmas eve. Great idea.